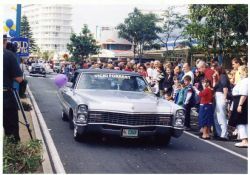 Cadillac’s and Classics was formed by the ex president of the Queensland Cadillac Car Club with a few close friends in 2002. Each year the club donates money to the Cancer Fund and they participate in a number of local activities and events. The club would be one of the smallest in Australia, proudly boasting six members and a lot of Cadillac’s. It is run to suit the members and they enjoy their cars and music without the formalities and politics associated with larger clubs. One of the founding members, Brian, has five Cadillac’s that are all registered and driven on club plates. 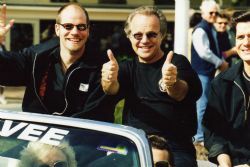 One member also owns a Ford Fairlane. 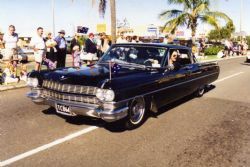 The club attends Wintersun on the Gold Coast each year and they really enjoy the atmosphere the event has – lots of classic cars, plenty of bands with great music and dancing in the streets. They also attend the Cane Queen festival in Beenleigh each year.